Don't miss the latest happenings out of Stoneham, including new lifts, terrain expansions, weather, photo galleries, infographics and current events skiers and mountain travelers should know about. Stay up-to-date on Stoneham news and events by clicking on articles from the list below or page through to see coverage from the entire ski season. The infographic below displays this week’s top snow performers and includes a powderlicious video clip from one of the overall winners. Get hooked on winter with this juicy bait from Northeast resorts. Mont Tremblant opens Thanksgiving Day, Mont-Sainte-Anne and Stoneham follow this weekend. Opening day may not be until Nov. 25, but the Bud Light November Chill is coming fast. VIA rail, the Canadian rail system, can take you skiing or riding for the day, for a week, or for a special 11-day "safari" to Whistler. Northeast freestyle terrain is varied, exciting and fun. Structure will cut snowmaking costs. Ski Stoneham has activities for all during Quebec's school break March 3rd to the 11th. Check out the Bud Light Rumble. Thirty top Canadian pro riders vie for $15,000 in cash prizes in bank slalom, slopestyle and halfpipe competition. On the 11th there's a recreational race for kids age 3-12. 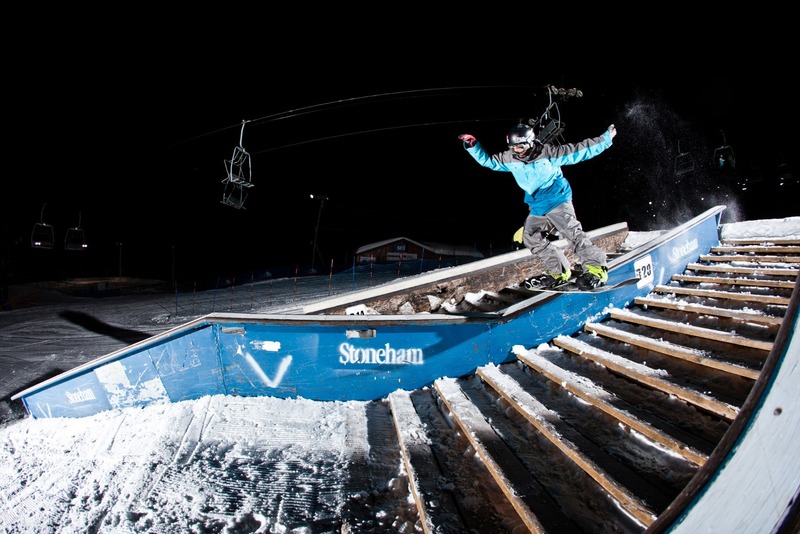 On January 7th Ski Stoneham celebrated the grand opening of their Telus Snow Park. As part of the festivities the winner of the Design Your Stunt contest was announced.